so many favorites all wrapped into one look! i have fallen in love with a-line skirts, especially when they are gorgeous colors like this one! they are so fun to pair and style and always look so classic and chic! perfect for an event or night out on the town! Robyn! I love everything about this look - gorgeous!!! Love everything about this look! You look gorgeous! You have combined two of my favorite things into one look, stripes and leopard! You look gorgeous! 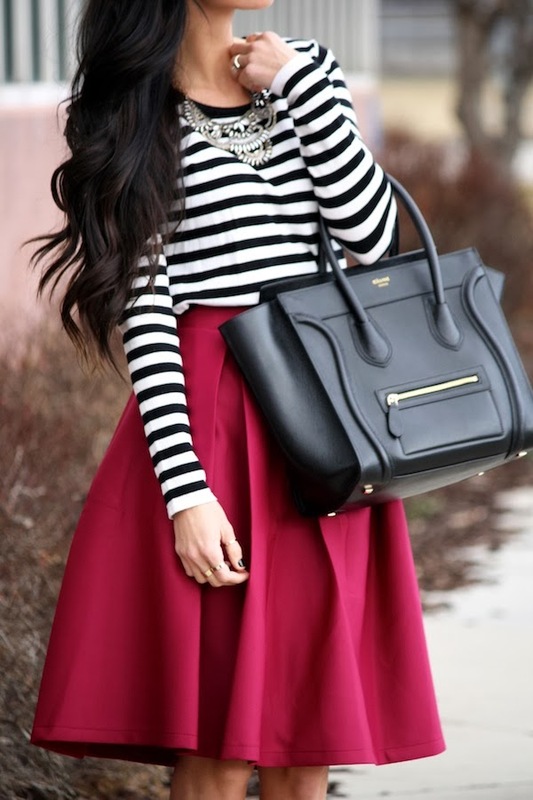 Love the red skirt too!